We can help make your special day into something extraordinary. 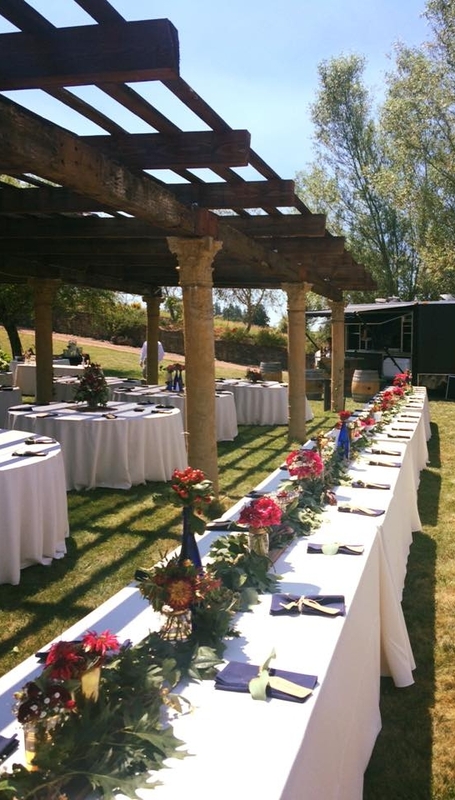 We can help set the mood with a rustic, yet modern setting complete with tables. We cater to these events with specialized menus that fits your palate. With an assortment of drinks on offer we can help you find that right bottle for you and your loved ones. Let’s pop a cork for that next toast to the bride and groom. When are you wanting to hold the event? At our The Brewshed location, or at another address, where do you want to hold the event? Select the bar services needed. Would you like us to prepare appetizers and/or a full meal? Any food allergies? Please list food preferences here! Would you like us to provide beer, wine, and/or liquor? Any specific brands? Cocktail preferences? Non-alcoholic beverages? Please be as detailed as possible. We will answer any questions you may have. So, please let us know. Thank you for booking with us. We will follow up with you shortly to confirm your booking. Whether you’re planning a party for your company partners that need to go off smoothly, a team building event, a product launch, or just need to fuel your team for the end of the quarter, we are built to cater to your every need. We can bring the party to you or you can take advantage of our specialized space designed for such occasions, The Brew Shed. Cornerstone was built on tailgating. When it comes to setup we don’t cut any corners. Including mobile bars, flat screen TV’s, and professional bartenders. We take care of everything for you, so you don’t have to. The game is around the corner, it’s the event you and your friends have been talking about. Let us take your tailgating experience to the next level. Our food and drink menu is fully customizable. From appetizers, sides and full meals to beer, cocktails and wine… We do it all. We offer more than just your classic tailagte fare. our personal chef will make some of the best food you’ll ever eat, guaranteed!